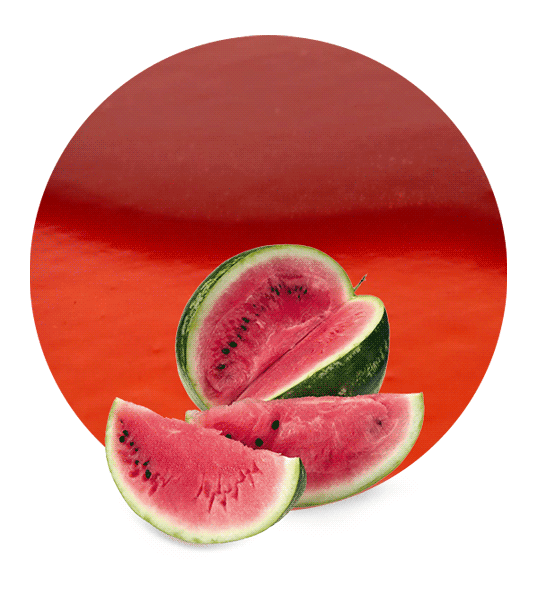 Watermelon Concentrate is made from the ripe fruit of the watermelon, Citrullus lanatus. The advantage of using concentrate means that the weight and volume are reduced for economical transportation. 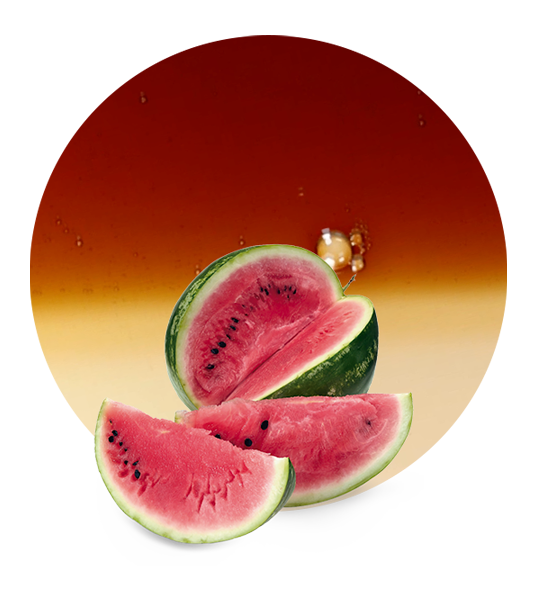 This concentrate can be reconstituted or added directly to a range of watermelon products, including fruit beverages, ice creams, smoothies, syrups and food preparations. 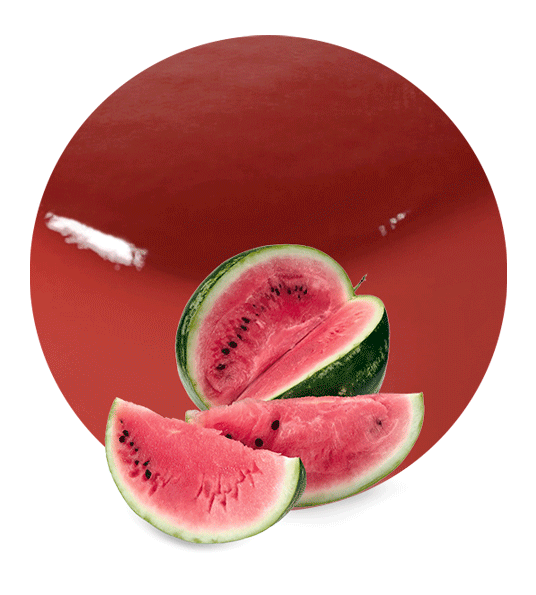 Watermelon, as the name suggests, contains high levels of water, around 92% in fact. By removing most of the water in the concentrating process, under strict sanitary conditions, the valuable nutrients of the fruit are preserved. Watermelon Concentrate is aseptic, frozen and storage of -18 degrees Celsius is recommended to maintain the high quality of the product. 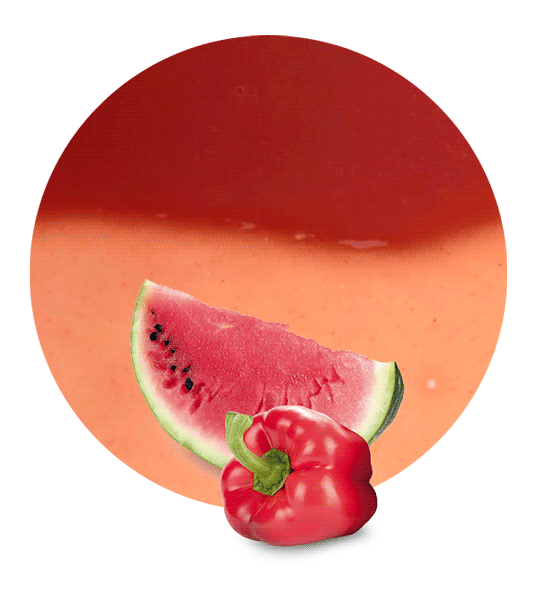 Watermelon contains some of the highest levels of lycopene, which is what gives it the red colour. This phytonutrient is a powerful antioxidant, which can help protect the body against disease, including some cancers, and can help to lower the risk of blood disease. A rich source of vitamin A, essential for vision and healthy skin and bones, it also plays an important role in the function of vital organs. Other nutrients include vitamin C, potassium, calcium and iron. Lemon Concentrate are leading global suppliers in fruit concentrates and other fruit products. Their headquarters are located on the South-East coast of Spain, in the Murcia region, to ensure close proximity between the fruit plantations and processing factory. Thus enabling absolute traceability as a core company value. With over 50 years of experience in the fruit concentrate and production industry, Lemon concentrate provide high quality products to strict international standards, using highly advanced equipment and a dedicated team, working closely with clients to meet individual requirements.